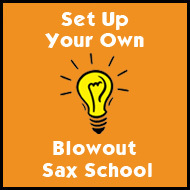 Other recommended makes of saxophone we’ve seen here at Blowout Sax are the Earlham Pros. 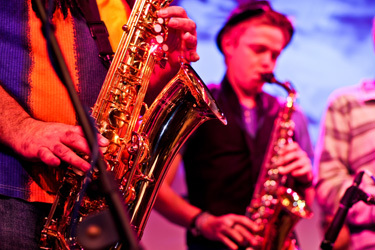 These are high quality saxes that actually do more than the job to get you playing well and have been used by Blowout Sax students over the years – They are saxes that make saxophonists play, feel and look good and are easy to play so to it helps improve . 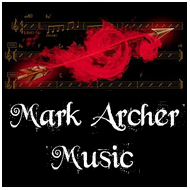 Other makes that we have sold at Blowout Sax are good value second hand - older model Elkharts, Jupiters and Evette Buffet. If you see a Yamaha YAS25 at the right price second hand that could be a strong move too. 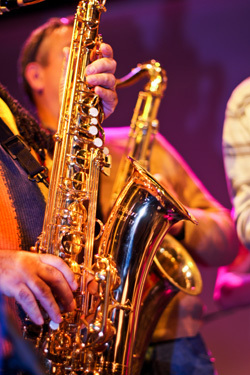 The newer Yamaha YAS 275 is a good starter sax too. 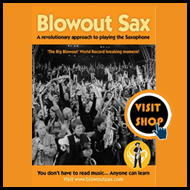 Blowout Sax recommended beginners Trevor James ‘Classic’ saxophone perfectly set up, and Yamaha 4C mouthpiece, Neotech sling, good ligature, the correct strength reeds and the accessories Padsavers, Necksavers, Sax Stands and the highly recommended Blowout Sax Teaching Book.